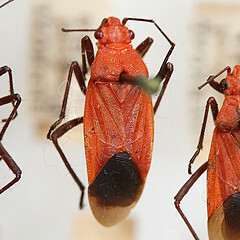 Leptocoris chevreuxi adult. Dried specimen from London Museum. Range: Trans-African from Eritrea to Senegal; also Cape Verde Islands. May also occur farther south.